Florida is a “no-fault” state, which means that neither you nor your spouse needs to admit wrong-doing. However, if you suspect or have proof of any wrong-doing it is a good idea to collect any evidence of the behavior or action to assist with your case. Florida Statutes 61.021 states that to obtain a dissolution of marriage, one of the parties to the marriage must reside six (6) months in the state before the filing of the petition. It is mandatory to complete a Parent Education and Family Stabilization 4-hour Course in the State of Florida under Florida Statute 61.21. It is required that you physically attend this course in both Duval and St. Johns Counties and in addition in St. Johns County it is required for children between the ages of 6 to 17 to attend a Coping With Divorce class. How to prepare for your Dissolution Of Marriage. A complete picture of the assets and income of both spouses is absolutely necessary. By providing us with the information and documents requested below, you will save time and money and will assist us in the preparation of pleadings and documents required in your case. In addition, possession of these documents will help in preventing your spouse from dissipating or secreting any assets. Personal tax returns, including W-2s and 1099s for the last three years. Pay stubs for the last three months along with any bonus or over-time records. Bank statements for all bank accounts owned for the last three months. Brokerage statements for all brokerage accounts owned for the last three months. Retirement statements for all retirement accounts owned for the last three months. All insurance policies including health, life, auto and homeowners. All loan documents for any loans you owe on including mortgage, personal loans and auto loans. Any loan applications for loans that were applied for within the last twelve months. All credit card statements for the last three months. All deeds to the properties that are individually, jointly or that you have a shared interest in. A list of monthly budget items including but not limited to utilities, food, entertainment, clothes, daycare, gifts and other household items. Any previous Court-Orders, Pre-Nuptial Agreements and Ante-Nuptial Agreements. The full legal name, date of birth and social security number of all children born to the relationship along with the dates and address of the locations which the child(ren) lived for the last five years. List of the make, model and year of all vehicles owned jointly or individually. List of personal valuables and estimated value along with appraisals (if available). List of all properties owned, including addresses and estimated value. List of all business(es) owned by you or that you have a shared interest in. All profit and loss statements, balance sheets and financial statements. Deeds, mortgages or leases held by the business(es). Once you have been served with the Petition in your case you have 20 days to respond with your Answer to the Petition. Mandatory Disclosures and your Financial Affidavit are due 45 days after you are served or you serve the Petition. Notice Of Compliance With Standard Family Law Interrogatories are due 30 days after they are propounded to you. Answers To Request To Produce are due 30 days after they are propounded to you. A Uniform Child Custody Jurisdiction And Enforcement Act (UCCJEA) must be filed with the Court if there is children from the relationship. Financial Affidavits for both parties must be filed with the Court. Certificate Of Completion of the Parent Education and Family Stabilization Course must be filed with the Court if there is children from the relationship. 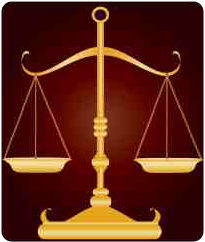 Mediation must be completed and Mediation Disposition must be filed with the Court.